Now that Thanksgiving has passed, here come posts about seasonal titles. You remember I am a Christmas freak, right? When winter comes, Hedgie tries to stay awake so he doesn’t miss out on all the fun his friends are having. 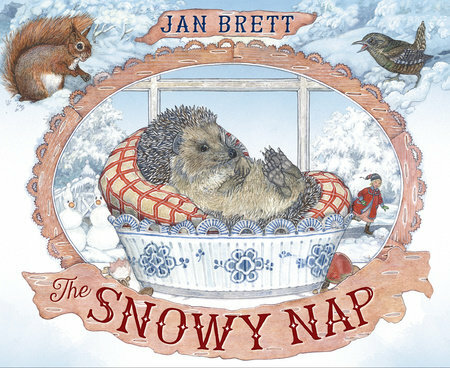 Snow is on the way, and as Hedgie trundles around the farm all his friends tell him of the winter-time fun he will miss as he hibernates–Icicles decorating the chicken coop! Lisa making snowmen! The pond turned to slippery ice! It sounds so amazing, Hedgie decides to stay awake instead of going to his burrow. But then a snowstorm starts. Luckily, Lisa finds him and brings him inside so Hedgie gets to see the wonders of winter from inside the cozy house. From a wily feral, to a member of the family, Little White’s story will charm the hearts of animal lovers everywhere. Faye knew the little white cat in her yard wasn’t safe living outside and sharing a tree with a raccoon family. But how do you win the trust of a street-smart cat? 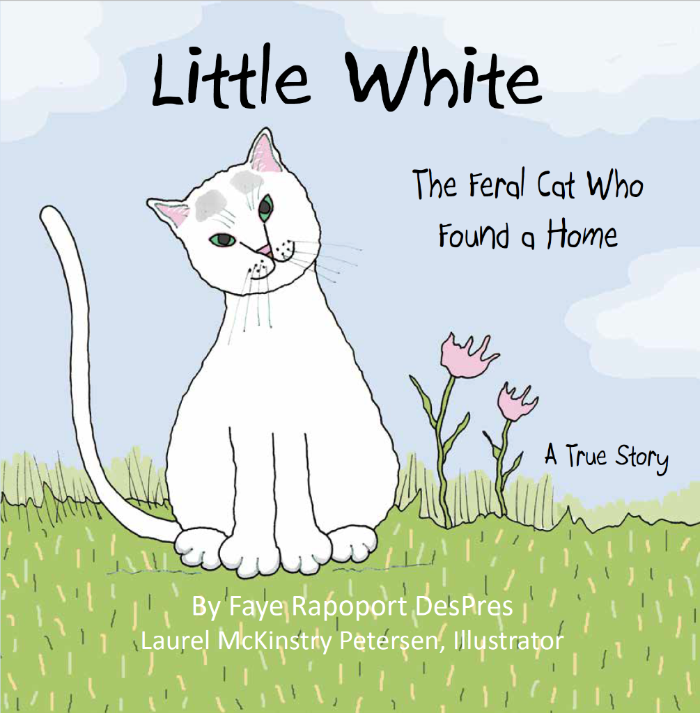 This is the true story of how Little White went from being a feral cat who faced danger at every turn, to a well-loved indoor cat with a family of her own. A portion of your purchase will be donated to animal rescue organizations. 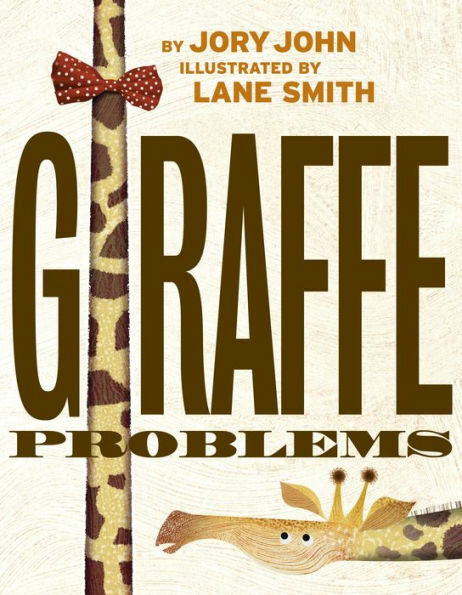 Can you guess what’s making this giraffe self-conscious? Could it be . . . HIS ENORMOUS NECK?? Yes, it’s exactly that–how on earth did you figure it out? Cyrus the giraffe can’t understand why his neck is as long and bendy and, well, ridiculous as it is. No other animal has a neck this absurd. He’s tried disguising it, dressing it up, strategically hiding it behind bushes–honestly, anything you can think of, he’s tried. Mamá Graciela’s Secret by Mayra Calvani is a delightful story about one woman’s determination to save her restaurant and the animals she loves. Mamá Graciela’s bacalaítos fritos are so famous that people come from miles around to eat at her outdoor restaurant. The local stray cats love them too. When the local health inspector learns about all the stray cats, he threatens to shut the place down. But Mamá Graciela loves her cats and she must come up with a plan to save her restaurant and all her beloved cats too. This story will tug at your heartstrings. It is a sweet tale of this woman’s creativity and genius in the face of tough odds. Award-winning author Mayra Calvani consistently develops wonderful stories for children and adults that you want to read over and over again. Young readers will connect well with Mamá Graciela’s love for family and cats. They will be inspired by her determination to protect her restaurant and all the cats she helps. Illustrator Sheila Fein provided the artwork for Mamá Graciela’s Secret. The colors she uses, the tiny details–like the hearts floating around characters’ heads to show their love for the animals and each other, and the emotions she captures complement Calvani’s text perfectly. I hope they will work together again soon. 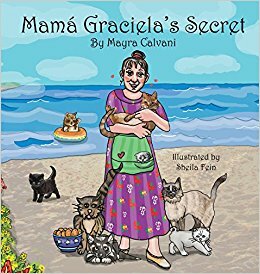 Mamá Graciela’s Secret is ideal for cat lovers and those who enjoy stories where characters triumph over obstacles. I received a copy of this book from the author. This review contains my honest opinions, which I have not been compensated for in any way. A rascally pony, two run-down carts, and a pile of moldy harness seemed like a strange start to a journey full of ups and downs that led Rosie to the most meaningful Christmas of her life. But looking back, she knew it all began that fall day at the livestock auction. 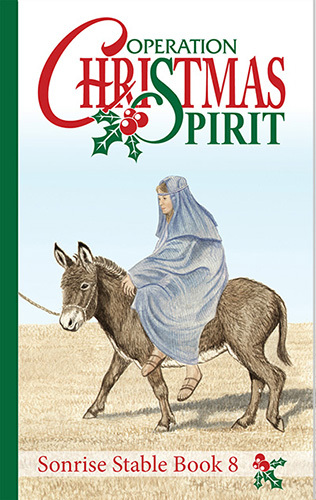 When Billy King asks questions about the biblical Christmas story, his curiosity inspires Rosie and the other children to dive into Scripture for the answers. Together they come up with a secret plan for a unique Christmas celebration–Operation Christmas Spirit. Operation Christmas Spirit is the eighth book in the Sonrise Stable series, heartwarming stories of an extended homeschooling family as they live, learn, and love together. Mixing adventure, life lessons, and realistic horse stories, the series is a must for readers who enjoy family values, Christian faith, and, of course, horses! 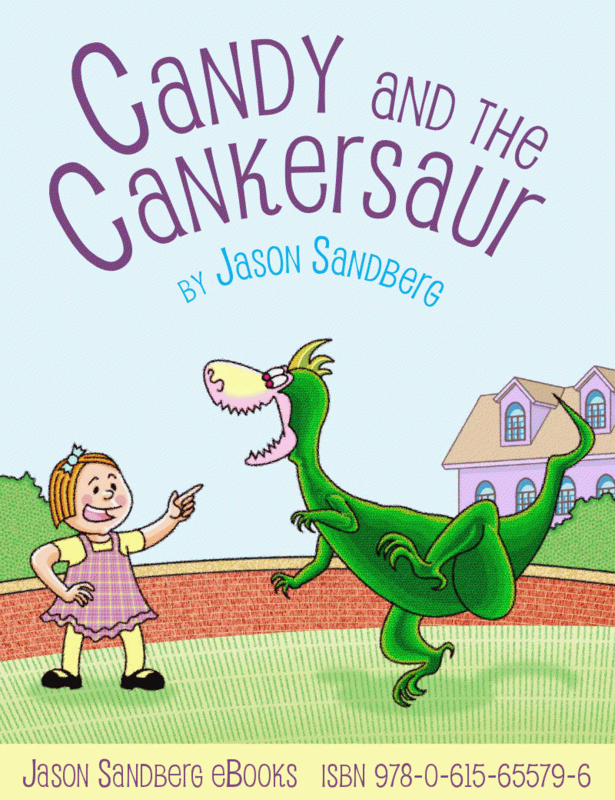 A fun, zany adventure with several learning lessons along the way is what readers will find with Candy and the Cankersaur by Jason Sandberg. Candy is a wealthy girl who has a father that showers her with gifts instead of spending time with her. She has a next door neighbor named Chucky who every time she gets a new gift, he gets a bigger and better version of what she has. But when Candy’s father buys her a Cankersaur, Chucky can’t seem to one up her. Instead, he decides to get even a different way with some interesting results. I must start off by saying the humor in this story is great and the intention behind delivering a story with wonderful lessons is admirable. The artwork is superb and matches well with the zaniness of the story. The challenges with this story are related to craft. The author seems to have bitten off a bit more than he can chew by delivering too many lessons at once: parents needing to spend quality time with their children, understanding why children sometimes mistreat each other, and how working together gets the job done. The story also occasionally drifts away from Candy’s point of view to give the reader a chance to get to know the father’s and Chucky’s internal thoughts. This isn’t something you would typically see in a children’s picture book. The lessons are also delivered in a fashion where they are told to the reader by the narrator more than delivered through the actions of the characters. These are all issues, however, that working with an experienced editor will fix. In the end, I see a bright future for Sandberg in children’s book publishing. His artwork is amazing and his story ideas compelling. This book has also received numerous 4- and 5-star reviews, so it’s worth checking out this book and more of his work. The author provided me with free digital copy of this book. This review contains my honest opinions, which I have not been compensated for in any way.